We all know the importance of police dogs in the law enforcement world – they find lost children, help track down criminal suspects and lead the way in rescues. But the K9s that work to protect us are facing a new threat that requires a creative solution, and two Brick middle school students are leading the charge to keep Brick’s four-legged law enforcement officers safe. As Brick – like communities across America – continues to battle the opioid addiction epidemic, investigators are seeing a marked increase in the amount of drugs cut with fentanyl, an extremely powerful painkiller that can be deadly in small doses. Since dogs use their noses to sniff out illicit materials, they are at a unique risk of inhaling the drug and suffering from an overdose. 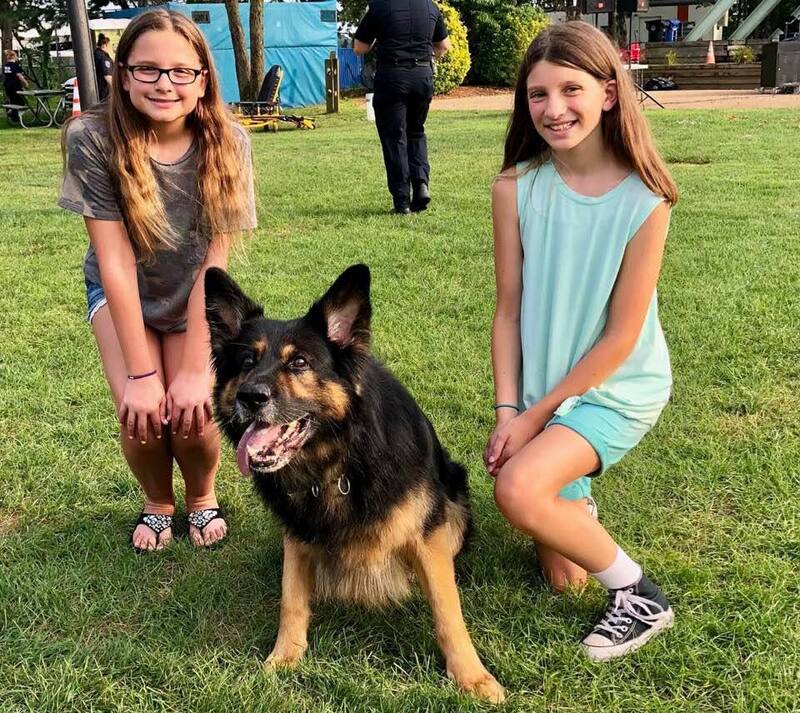 “We learned more about the risks they take each and every day trying to help us, so we decided that we would help them,” said Colleen Crate, 12, who is planning a “Kids for K9s” event along with her friend, Maya Jackson. The event will raise money so the Brick police department can purchase Narcan kits – which contain the opioid reversal drug naloxone – that are specially made to fit over dogs’ noses. The increasing amount of fentanyl present in drugs like heroin has caused nationwide concern. Last year, Jack Riley, the deputy director of the U.S. Drug Enforcement Administration, publicly asked law enforcement agencies to stop testing for suspected fentanyl in the field due to the overdose risk it poses to both humans and police dogs. Colleen said she and Maya both love animals and wanted to find a way to help them. “We wanted to do something for animals, and we met and decided to help raise money for Brick’s K9 unit,” said Colleen. The result was the planning of the Kids for K9s Dog Walk, which will be held Saturday, Sept. 15 from 9 a.m. to 12 noon at the Drum Point Sports Complex. The dog walk will raise money for the police department’s K9 unit and will also feature fun photo-ops, raffles, vendor tables, dog snacks as well as the chance to meet the Brick K9 unit’s members and see them perform in a demonstration. Colleen and Maya have been working all summer to plan the event, and have spoken at township council and school board meeting as well as printing up flyers and displaying them around town. The girls have been working with the police department to plan the event. “The K9 unit has been working very closely with them and they’re going to make sure it will be such a fun event,” said Lisa Crate, Colleen’s mother, who also serves as a township council member. The event will be held Saturday, Sept. 15 from 9 a.m. to 12 noon at the Drum Point Sports Complex. More details are available on the event’s Facebook page.